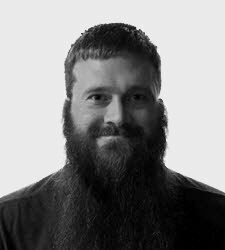 what it is, and how it works. 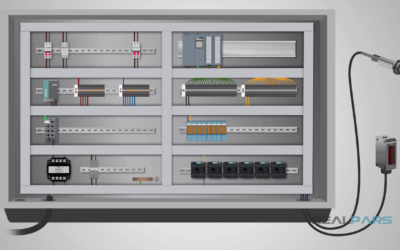 Today you will be learning all about PLC power supply, what it is, and how it works. 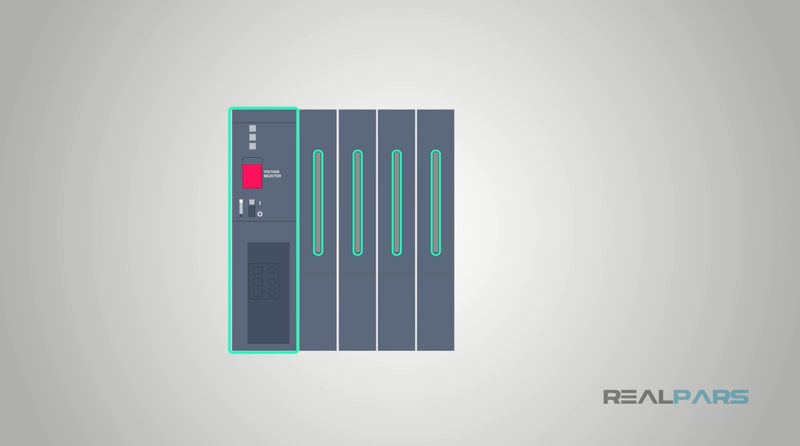 A PLC without a power supply is much like a car without gas, or a laptop without a battery. It is the fuel for the PLC. 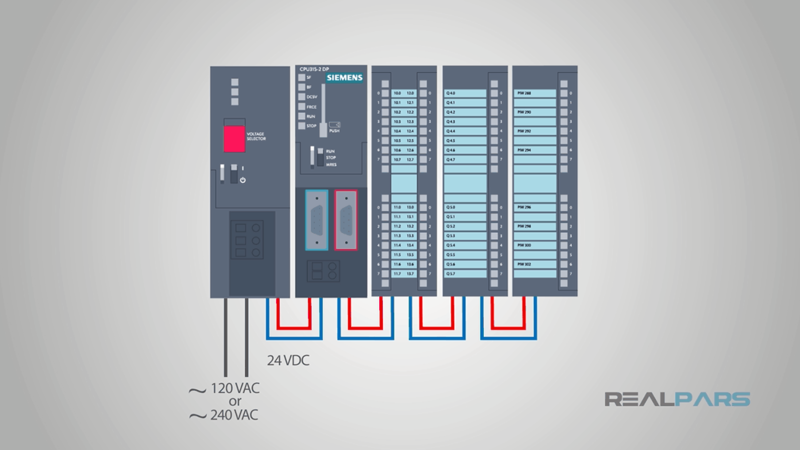 How powerful a PLC is will greatly depend on how powerful the power supply is. First and foremost, the PLC power supply converts a line voltage, commonly 120 or 240 volts AC, or Alternating Current, into a useable DC, or Direct Current, voltage, commonly 24 volts, to power on the PLC and its components. Line voltage is stepped down with a transformer, rectified to convert it to DC, filtered with capacitors, and protected during this process. All of this is packed into that small looking power supply. This DC voltage is used to power the rest of the PLC and components. Speaking of the rest of the PLC, this is what makes the power supply interesting. 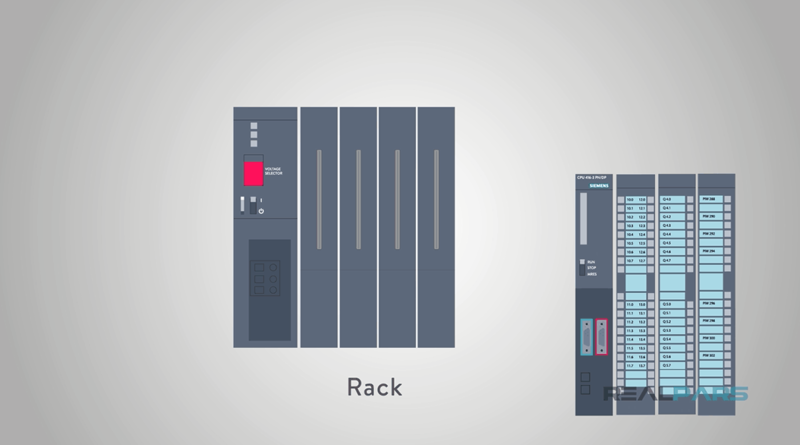 On most modular style PLC racks, the power supply is also part of the backplane or rack as some call it. The backplane is kind of like the base that all of the other components plug into so that they can all work together. 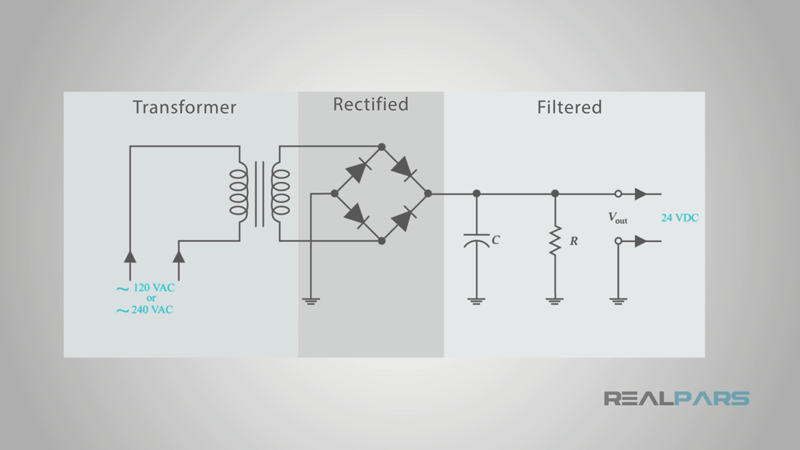 In some systems the power supply provides the power for all of these components through a bus system in the rack. In other systems a technician may have to wire these components individually throughout the rack. 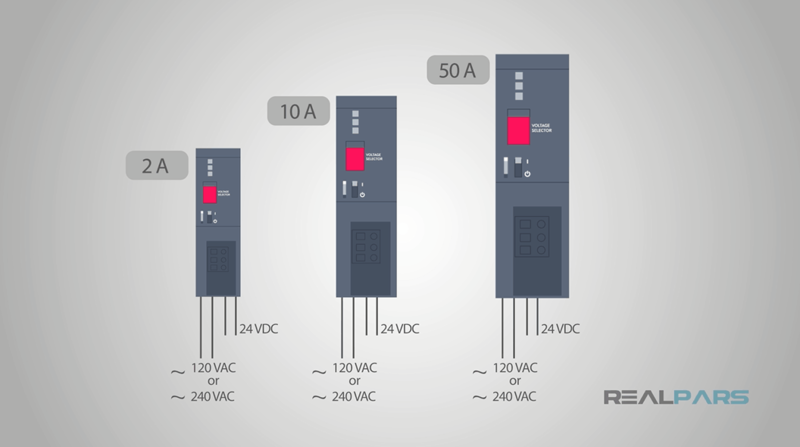 PLC power supplies can come in different sizes and power ratings depending on the PLC itself, just as PLC’s come in different sizes for different applications. I mentioned earlier that the common output voltage is 24 volts DC on a PLC power supply. The different sizes are going reference current and be rated in amps or amperes. The common current ratings for PLC’s are anywhere from 2 to 10 amps for smaller systems and up to 50 amps for larger, more powerful controllers. 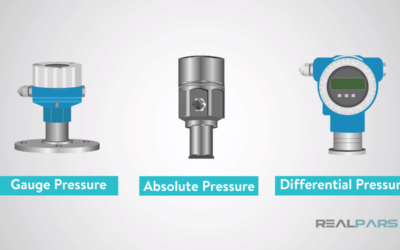 This is an important rating for engineers and maintenance personnel to consider when designing a system or even modifying one. 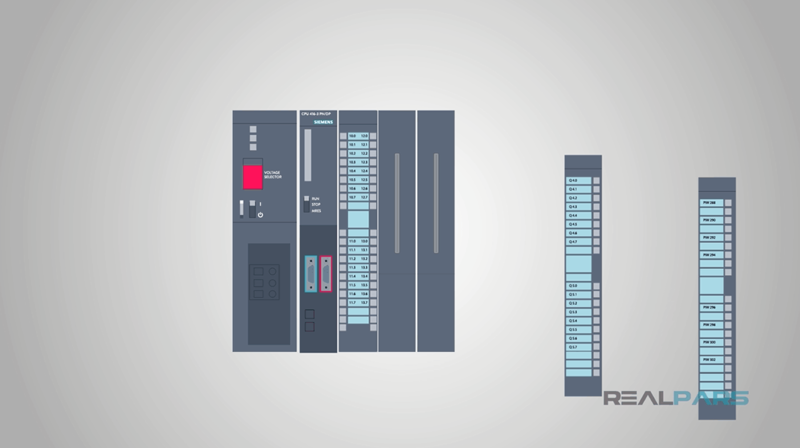 The current rating will directly affect how much work your PLC system can actually do. 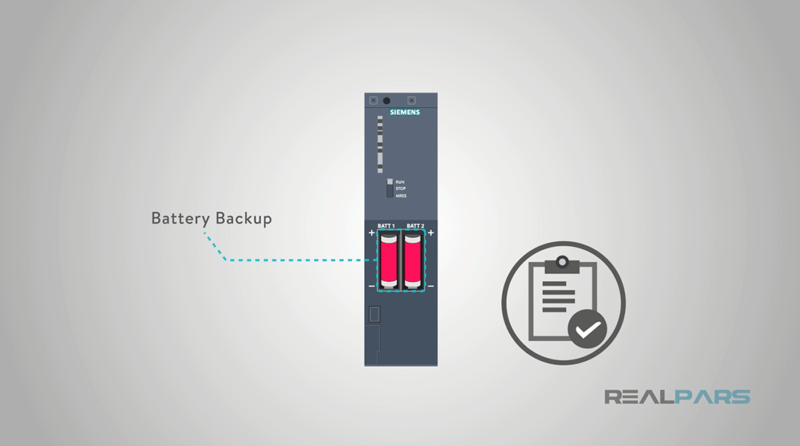 While the main power supply is the primary source of power for the PLC, there is usually a battery backup as well. This will provide energy to the memory of the PLC in case of a power supply failure or power outage in general. 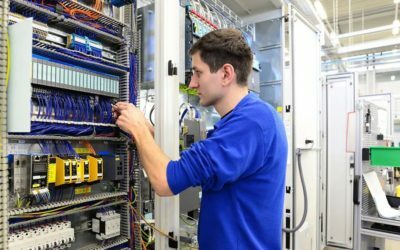 Replacing the batteries in a PLC is a common preventative maintenance procedure. So, let’s rewind and review. 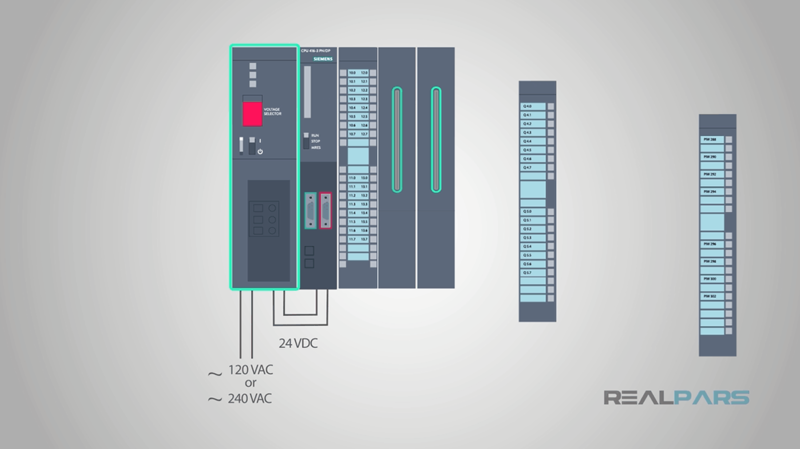 A PLC power supply is the workhorse of the PLC system. It converts your line voltage, 120 or 240 volts AC, to a lower DC voltage, commonly 24 volts DC. This DC voltage is then sent into the rack to power the rest of the PLC components. Depending on your application, there are many sizes of PLC power supply available. Those sizes are a current rating in amps or amperes.